The Amazing Alpha Scribes - Winners of our Social Awareness internet contest. After 2 days of intense internet voting that resulted in over 26,000 votes from the U.S., Mexico, London and Afghanistan, our Alpha Scribes win! Each of the Alpha team members will receive a gift certificate for TGI Fridays. Friends, family and even strangers voted for either the Alpha, Delta or Tango team videos to determine who best defined what social awareness means. A big thank you to our internet audience for supporting teen excellence! "Big ups" to all of our scribes for a fantastic job well done. This was amazing. Definition: Scribe - A writer and keeper of culture. Each team member receives a gift certificate to TGI Fridays! Meet our new college partner: The African American Cultural Center at the University of Illlinois at Chicago. They provide our program with space and other resources. 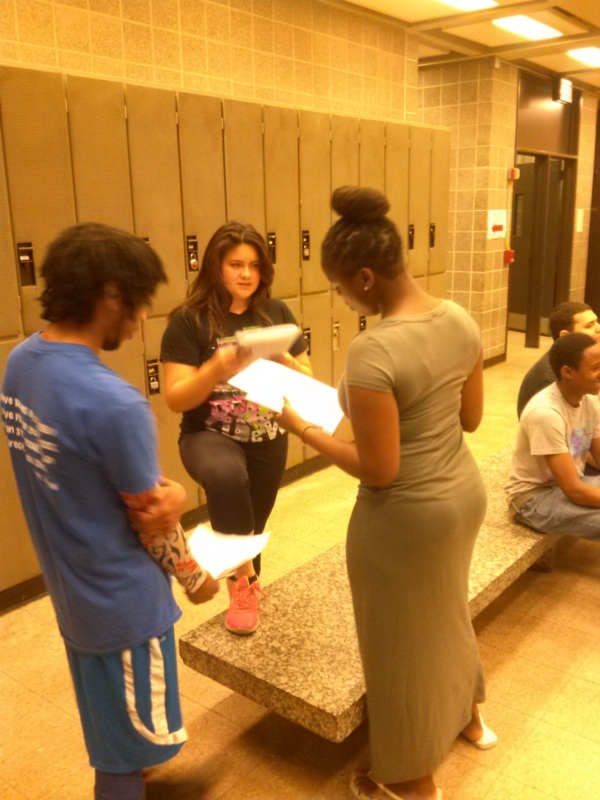 We're the Spoken Word Theatre Project, a summer job program of After School Matters. This program teaches youth the art of performance poetry while exploring the human condition and social consciousness. Learn more here.